Our house is an old stone house, completely renovated in 2015. It`s fully furnished with new furniture, and equipped with all necessary utilities. With underfloor heating, air con and fireplace, the house is ideal for Winter days as well. There`s a nice covered terrace with table and chairs, with a completely fenced garden, ideal for your pets. In 2016 we finished the outdoor kitchen with toilet and bike storage. The kitchen can be completely closed, and also has a fireplace and underfloor heating. The house is located in a residential part of Porec just 1800m from the sea. It has three parking places in front of the house. My name is Milosh. I am 32 years old, I`m married to Marina, we have one daughter and one son. We are a young happy family :) I am a Real Estate broker and my wife is an Optician. We were both born in this area and finished highschool in Porec. We live in Novigrad, a small city near Porec. Our home is an old stone house renovated in 2015. It was my wife`s Grandfather`s house, so she heritated and we decided to renovate it and rent to other happy people, nice families and all men and women who like to enjoy the life. Very clean, nicely appointed, great garden with separate BBQ house. 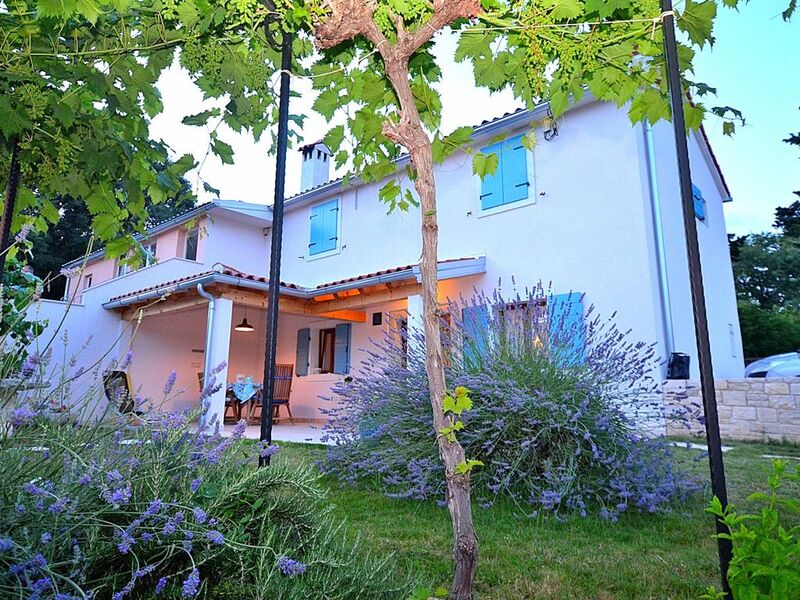 Close to Porec and beaches. Un posto favoloso! La casa è bellissima e ti senti come a casa! Un posto incantevole. La casa è bellissima e dotata di ogni comfort. È senza dubbio uno dei posti più belli in cui io sia mai stato. Ripeteremo sicuramente questa bellissima esperienza. Grazie tante, vi accoglieremo sempre a braccia aperte. Wir (4 Erwachsene und 2 Hunde) haben im Mai 2018 eine wunderschöne Woche in diesem perfekt ausgestatteten und sauberen Haus verbracht. Es hat uns an nichts gefehlt, sehr freundlicher und hilfsbereiter Vermieter. Unsere beiden Hunde waren in dem eingezäunten Grundstück gut aufgehoben. Ruhige Lage in einem Wohngebiet, als Basis für Ausflüge bestens geeignet. Sehr empfehlenswert, wir kommen gerne wieder! Besonders die angenehme Klimaanlage hat es uns in dieser heißen Woche angetan. Herr Milosh und alle Nachbarn waren sehr freundlich und hilfsbereit. Wir haben im Juni 2 Wochen in diesem schönen Haus verbracht und waren rundum zufrieden. Die herrliche Landschaft und die vielen sehenswürdigen Städtchen haben wir sehr genossen. Additional charge: Pets fee-7€ per day. Cleaning fee -5€ per day.